H603A This connects to a special connector at the right of the PX-16. 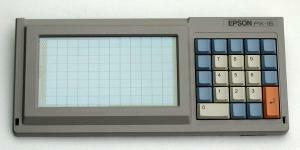 H712A This backlit touch screen / keypad cmbination, replaces the normal keyboard. The screen memory does not map to normal screen locations so it needs custom software to operate. The Keypad is part of the normal keyboard. 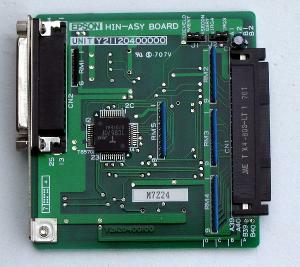 H722A This module replaces the LCD screen with a CRT and Floppy port. 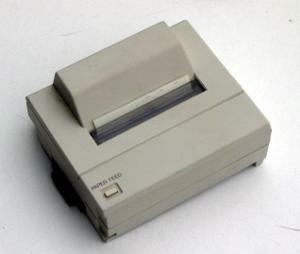 The CRT port is configurable to be MDA (monochrome 80x25) or CGA (color) compatible. The FDD port is used with the TF-16. N150A/EAO According to the PX-16 System Guide, this board can be used for software development for a PX-16 configuration using the LCD40 or the Touch Keyboard. 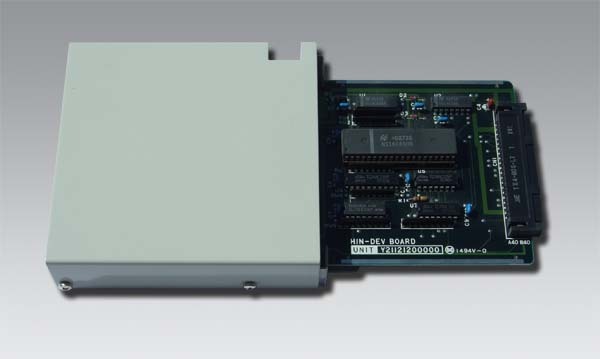 A special PTL (PX-16 Terminal Link) board was available which also allowed development of special boards in the Expansion Interface bay, but the Serial board could be used too, it has a 'DEV' switch. configuration For cash register usage, the PX-16 could be configured with the components shown above. A Cash drawer would complete the set. This image I got from Thomas, a proud owner which has the LCD40 and the touch-keyboard. The LCD40 could display 40 * 10 characters or 320 * 80 dots. The Touchkey board is backlit and capable of 25 * 11 lines. 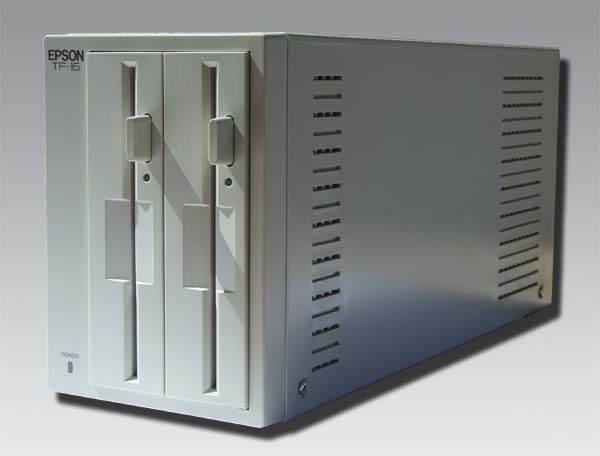 The touch matrix is 12 * 8.
terminal and file transfer program. File transfer uses the FILINK protocol. Still looking for copies of these programs. TF-16 Several components for the PX-16 have a FDD connector. With the proper cable, a TF-16 unit could be connected. 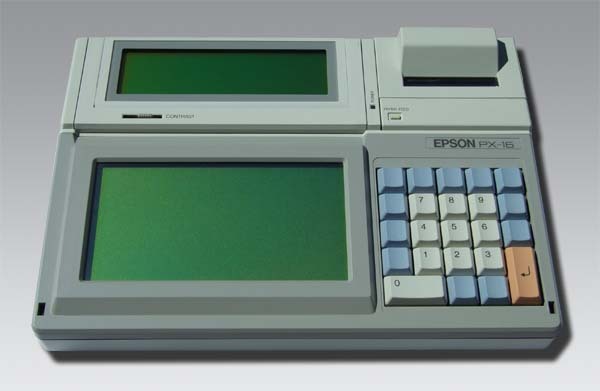 These units probably only contain the floppy drives and a power supply, unlike the similar looking TF-20 for the HX-20, PX-4 and PX-8.